To match up the varying needs of customers, our company is manufacturing, supplying and exporting an extensive range of Wastewater Treatment Plant Equipment. Our offered products are highly effective and affordable. We are one of the well-known manufacturers and suppliers of PFR Pipe Flocculators. 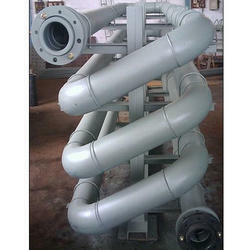 Our offered PFR pipe flocculators is specially designed and fabricated for the water filtration requirements. Our offered PFR pipe flocculators are made from stainless steel alloy, to ensure longer serviceability. The offered PFR pipe flocculators are easy to install and fix. Our supplied PFR pipe flocculators are available at very cost effective market price. K-Pack Systems Pvt Ltd. We are a Bangalore based medium sized Indian company and haveexperience of more than 25 years in waste water treatment. We are active all over India as well as in Europe, Middle East and Africa. We are Water treatment Solution providers and OEMs of equipment like Dissolved Air Floatation systems, Lamellas, Clarifiers, Oil Water Separators (TPI, API, CFS), Pipe Flocculator, Oil Skimmers etc. We have done more than 2500 installations of such equipment. We have come up with a new equipment which supports all sludge generating systems, which efficiently separates solid sludge from liquid-solid slurry generated from above equipments. As these slurries are in two phases, industries need to separate these two phases for their easy handling. Therefore, Separation of Solids from liquids plays a key role in industrial processes. Decanter Centrifuges from K-pack perform this crucial operation very well. Virtually all types of industry need to separate solids from liquids for Effluent Treatment Plant (ETP) or Sewage Treatment Plant (STP) or Waste Water Treatment Plant (WWTP) or other processes. The Decanter Centrifuge is based on the simple idea of a clarifier or settling tank in which particles, sediment and solids gradually fall to the bottom due to the force of gravity. Decanter Centrifuge Technology uses high speed rotational centrifugal power, therefore replacing effect of gravity by a centrifugal force up to 4000 times more powerful. This force is then used to separate solids from liquids efficiently in a manner that is easy to control. 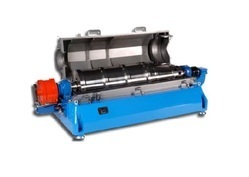 A Decanter Centrifuge can be used to separate wide range of solids from liquids. In the standard arrangement, an inlet pipe passes under the tank floor and turns upwards at the center to discharge the incoming liquid through a dispersion pipe into a deflector drum from which an even radial flow emerges. The settled effluent passes over a peripheral weir. Continuous helical scrapers sweep the accumulating sludge into a central well from which it is withdrawn through a sludge draw-off pipe. The scrapers are mounted on framework attached to the rotating dispersion pipe, the drive unit for which is mounted on the bridge structure. It has, however, been designed with particular reference to the need for rapid collection and withdrawal of activated sludge, which is accomplished by means of diametrically-opposed, continuous helical scrapers. Clarifier Setting Tank employs a fixed bridge which is made in a range to suit tanks from 4 mtr to 35 mtr in diameter, with a recommended floor slope of (1:12) or 71/2°. 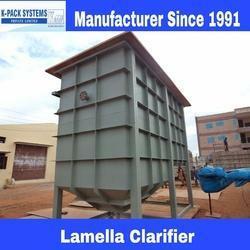 We are one of the leading manufacturers and suppliers of Lamella Settlers. 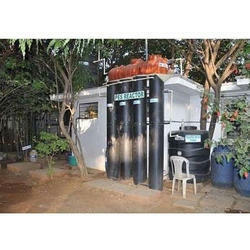 The offered lamella settlers are specially designed for the filtration of raw water. Our offered lamella settlers are acclaimed for removing large molecules and particles from water. The offered lamella settlers utilize the physical and chemical barriers for water filtration. To match up the varying needs of customers, we are providing a wide assortment of Sluice Gates. 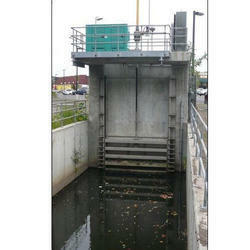 These Sluice Gates are available in accurate dimensions and various sizes. 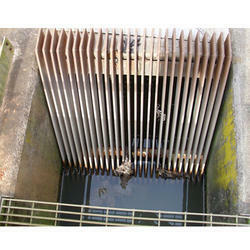 Moreover, our Sluice Gates are easy to operate and known amongst the customers for their durability. Gate Frame: In closing grained homogeneous cast iron or mild steel fabricated with or without seating face secured by screws or rivets. Machined and hand scraped to match a similar face on door. Side guide strip of cast iron or mild steel with tapered wedges on the underside. Owing to the changing and specific needs of customers, we provide a large array of Wastewater Bar Screens. In the field of water management, our products offer a wide range of coarse and fine screen which are essentially a part of the sewage treatment plants and effluent treatment plants. 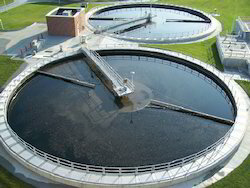 The technology incorporates screening of influence in sewage treatment plants as primary treatment. The primary objective of these products are to remove (screen) considerable amounts of waste such as sand, gravel, cotton buds, plastic bags and pouches, floating rags etc. The process ensures very high capture rate of materials screened before it proceeds for further primary treatments. The design data offers flexibility by proper positioning of screens at required degrees of inclination. The spacing of bars is the decisive factor in determining the degree of primary treatment. We are amongst leading and reputed companies which are offering a wide range of Wastewater Aerators. 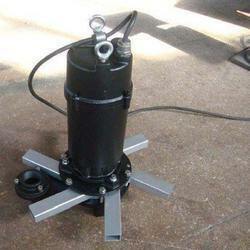 These Wastewater Aerators are used in various industries for their trouble free functioning. Moreover, our products are easy to use and technically advanced. High intensity Aeration process in the most efficient, economical and trouble free of purifying sewage by activated sludge process. We are enlisted amongst eminent and renowned firms for offering a wide range of Plate Settlers. 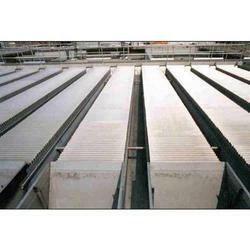 These Plate Settlers are used in various places for water treatment applications. The products we offer are technically advanced and have long functional life. We are enlisted amongst eminent and renowned firms for offering a wide range of Plate Settlers. Looking for Wastewater Treatment Plant Equipment ?